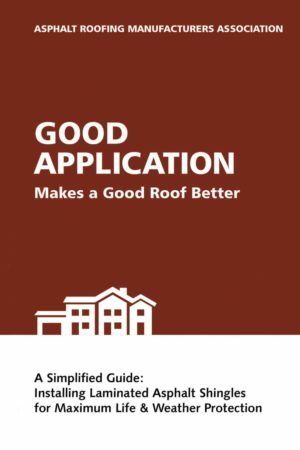 This guide provides recommended practices for the installation and maintenance of three-tab asphalt roofing shingles. *Please note: Clicking “Purchase” will send you to an external site, Lulu.com, where you can purchase the manual. 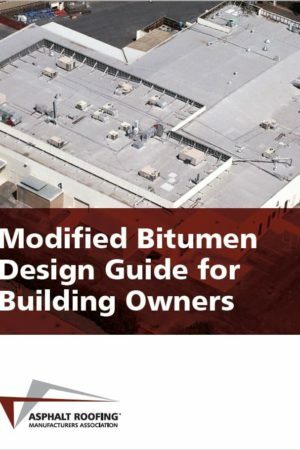 This guide was prepared by the Asphalt Roofing Manufacturers Association (ARMA) as a general guide for the installation of three-tab asphalt shingles. 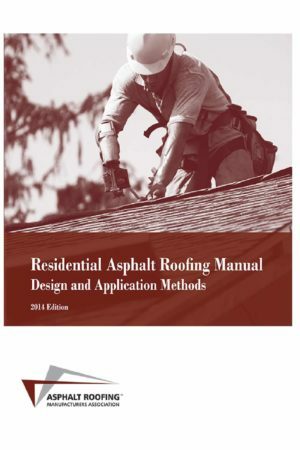 This publication provides guidance for the installation of three-tab asphalt shingles during new-roof construction, reroofing and roof recovery, as well as special procedures for low and steep-slope roofing systems. 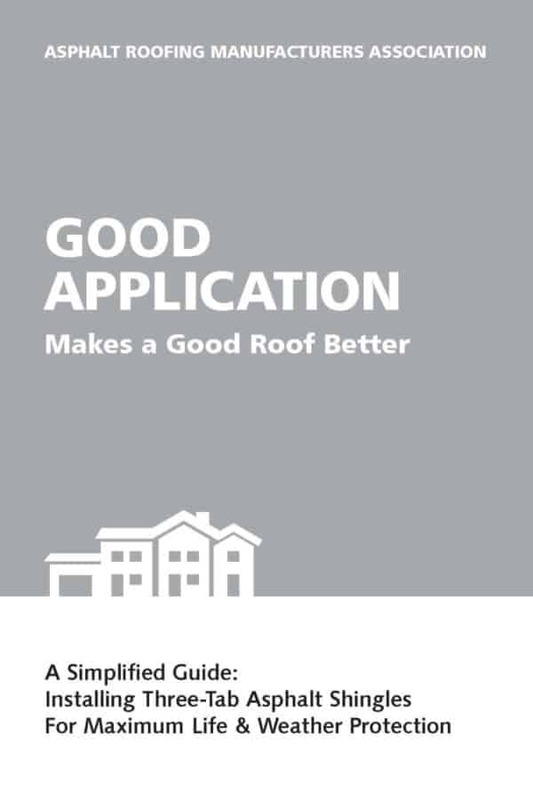 Several other relevant topics are discussed, such as proper attic ventilation, ice dam protection, correct nailing methods, roof deck preparation, installing drip edges, and much more. To view a preview of this publication, click here.